Graham Mirabito has over 35 years of experience in the information technology industry including 10 years in engineering, five years sales and marketing and 20 years in operations, mergers, acquisitions and general management. 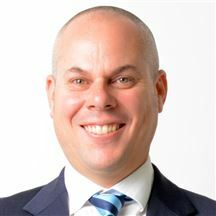 The last 12 years Mr Mirabito was CEO of RP Data /CoreLogic, the industry leader in property data and analytics, providing solutions to real estate, finance, insurance and government industries in Australia, New Zealand, UK, China and India. The company ASX listed in 2006 and was acquired by strategic shareholder, CoreLogic in 2011. Mr Mirabito now manages a personal portfolio of FinTech and ReTech investments in USA, Australia, Middle East and India. Previously, he has held executive roles with Telstra, Solution 6, and Ross Recruitment. Mr Mirabito holds an Associate Diploma in Electrical Engineering from Queensland University of Technology. 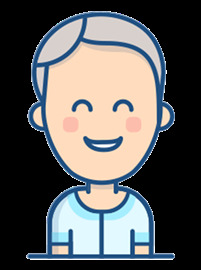 Gregg and the eBusinessTeam is responsible for Harcourts mobile innovation and strategies. Today's Real Estate Professionals require instant access to real time data in order to deliver a World Class level of service to their Clients. Apple has recently recognised and profiled Harcourts apps. Beginning with Harcourts as a real estate business owner Irene and husband Mike were the number 1 franchise for New Zealand. Moving to Australia in 1997 the duo began the global expansion of Harcourts and ultimately purchased the company with partner Paul Wright in 2000. Irene believed a strong focus on growing their people would be their point of difference and has been an integral part of Harcourts Academy for over 25 years introducing successful and diverse programmes in Harcourts training rooms across 10 countries as well as online. As Head of the Academy Irene was the driving force behind becoming a Registered Training Organisation in Australia in 2004 and developing affiliations with industry training providers in New Zealand, South Africa and Indonesia. As Harcourts continues to grow Irene is responsible for the professional development of Harcourts corporate teams, travelling frequently to support our existing operations dotted around the globe. 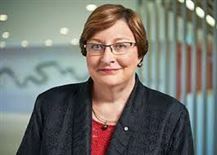 Inducted into the Harcourts Hall of Fame in 2013 for outstanding contribution Irene continues to champion international projects such as Harcourts Inspirational Women, Harcourts Future Leaders and Team culture initiatives. Irene holds a diploma in teaching, a diploma in workplace education and a diploma in business (real estate). Having worked for over 30 years at Harcourts, Jo has experience in most facets of the real estate industry. Now currently the Chief Operations Officer for Harcourts International she is also a Director and shareholder of the company, and a Director of Mortgage Express. Jo has exceptional leadership skills that have been consistently recognized in the various roles within the company that she has held over the years. As Financial Controller she lead the Finance Department in developing the best accounting practices, as Head of Technology she lead the team as they developed the first Harcourts website (now the most visited real estate company website in New Zealand), as Head of Franchise Development she oversaw the franchising of 90 offices from company owned to franchised. She went on to become the Northern Regional Manager where she played a key role in growing the Auckland market share and as Chief Operations Manager she was responsible for the day-to-day running of the company as it grew to over 180 offices with over 1,800 sales consultants within New Zealand. With a corporate team of 28 reporting directly to her Jo has a strong commitment to the highest of professional standards and she is enthusiastic in providing information and tools that her staff can then implement to ensure the success of their franchise owners. There is no doubt that Franchise Owners across the country hold Jo in high esteem, they look to her for advice and direction and they value her business acumen as well as her friendship. Harcourts International Managing Director, Mike Green, and award-winning Franchise Owners such as Graham Viall and Martin Cooper cannot speak highly enough about her leadership, management and assistance with growth of their own businesses. Jo has the innate ability to understand exactly what it takes to build a real estate business as an asset and, most importantly, how to make it profitable. With experience in all aspects of franchising, history in converting a number of offices from other brands and an in-depth knowledge of the Real Estate Agency Act 2008 Jo also continues to work strategically in the business. In 2015, Jo moved to Chief Operations Officer for Harcourts International, implementing her managerial and directional skills across the eight countries we operate in. Working closely with the leadership team in each country, Jo continues to work strategically across the business to ensure effective delivery of technology, marketing products and training, along with business growth and development. As part of the Harcourts International team, Julianna Forsyth is the Head of Harcourts Complete, responsible for driving this area across the entire group. Based in Sydney, Julianna's focus is to work with the teams at Strand Conveyancing, Mortgage Express and Harcourts Connect across Australasia, to establish a national structure and develop business plans covering marketing, communication, technology and much more. 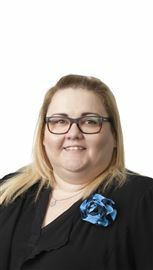 She also works with Harcourts Operations Managers for Property Management to build on the great work already done in developing and delivering a 'Harcourts Way' for property management. While beginning her working life in a law firm, in recent times Julianna has worked with the Real Training Team providing training, coaching and technology to clients throughout New Zealand, Australia, the UK and South Africa, including speaking at AREC. Having spent 10 years leading a team of twenty plus commission only agents into the world of client benefit systems, Julianna brings a wealth of knowledge, experience and expertise within the real estate industry and is an outstanding member of the Harcourts team. 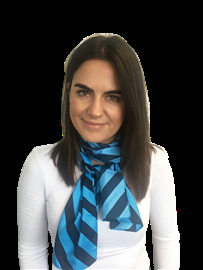 As part of the Harcourts International team, Kathryn is responsible for our Harcourts events all over the globe from our annual Harcourts Conference’s, our quarterly regional events, high achiever functions and award structures. 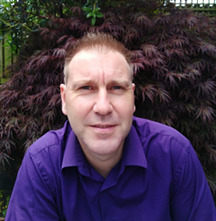 Mike has over 25 years of experience in the real estate industry. 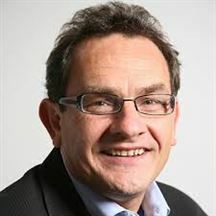 He is the former owner of Harcourts franchise, Mike Green Real Estate Ltd (Auckland). With nine offices and over 150 people, the operation achieved No 1 Harcourts Franchise for New Zealand for four consecutive years. Moving to Queensland, Australia in 1997, Mike has been responsible for the establishment and growth of Harcourts' Australian arm. Taking over as Managing Director of Harcourts International in December 1999, Mike is now responsible for the overall operation and direction of Harcourts' group of companies, and with Irene Green and Paul Wright, is one of the owners of Harcourts International Ltd.
Paul has invested over 30 years in growing Harcourts. His drive and enthusiasm in his leadership role coupled with his experience in real estate sales and management has been pivotal in the successful global expansion of the Franchise Group. His expertise in franchise growth through master licensing, joint venturing, mergers and acquisitions has helped Harcourts office numbers build to nearly 700 in 10 Countries with 7000 sales consultants in the last 15 years. 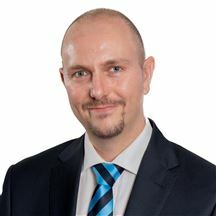 He was also responsible for the Added Value Services businesses the Group owns and has successfully established Mortgage Broking, Financial Services, Conveyancing, Insurance and Risk management operations. With a strategic focus on Harcourts’ international growth, Harcourts now has offices in Australia , the USA, Indonesia, Singapore, China, Hong Kong, South Africa, Botswana, Zambia and New Zealand with further international opportunities currently being explored. 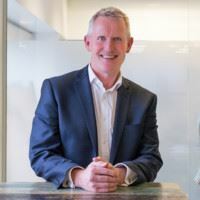 Along with Mike Green, Paul is one of two owners of Harcourts International Ltd. Paul was recently appointed Chairman of Harcourts International. Technology is changing the way we work and interact. Essential to operating a franchise business the size of Harcourts, Todd and his team constantly develop and maintain systems to keep our organisation at the forefront of technology. Debbie immigrated to New Zealand from South Africa in 2007, after being widowed. She has since made this beautiful country her home. Prior to acquiring her real estate licence she accumulated over 30 years’ experience in sales and customer service, and she is passionate about providing an outstanding level of service to her clients. As a Real Estate Consultant, she will use her valuable communication and negotiation skills to achieve successful outcomes. Debbie is proud to be a member of Team Cooling. Debbie is known for her professionalism, sincerity and passion amongst colleagues and clients alike, and she has a stellar reputation for always going the extra mile. Her business approach is about listening to clients’ needs and being diligent and available to assure an honest and efficient transaction. On a personal note, Debbie is married with two adult sons and a baby granddaughter. She enjoys playing golf and keeping fit, and has plans to complete the book she is currently writing. Nika is the newest addition to the Harcourts International team as our International Digital Manager. Nika’s role will be to ensure the Harcourts Group is leading the industry in online marketing through keeping on top of and implementing relevant global digital marketing enhancements, platforms and tactics. This role will be fanatical about monitoring and enhancing online performance and educating both our corporate and wider Harcourts to ensure the Harcourts customer experience online is leading in the industry (and beyond). Previously Nika has experience working for an international software company called More4Apps, a development house specializing in integration software for Oracle, working with customers such as Amazon, Starbucks, and Facebook. With several years in the digital marketing space developing and executing email, social and digital strategies, Nika is looking forward to growing the Harcourts digital footprint.